Beginners through advanced gymnasts are guaranteed to improve their gymnastics skills this summer! 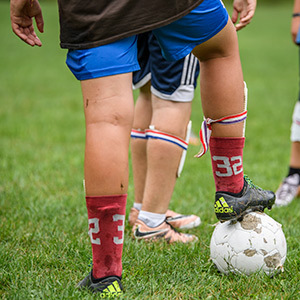 And you’ll improve your skills in an atmosphere of FUN with lots of support and encouragement! 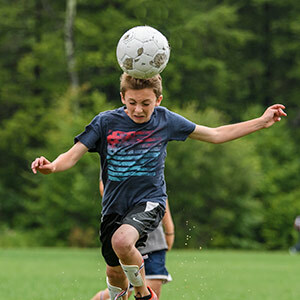 Camp Lohikan's Gymnastics Program features all of the popular gymnastics events and provides campers with beginner to advanced level instruction. 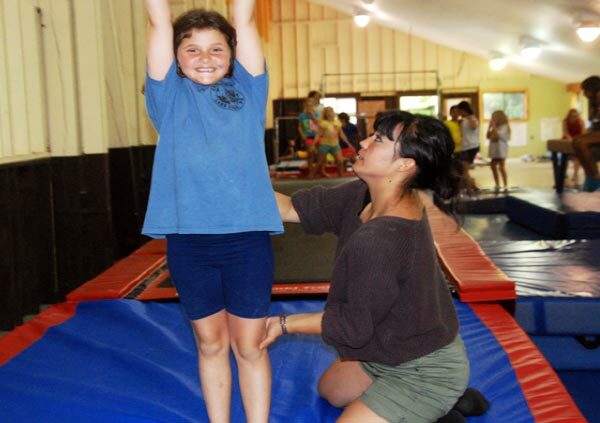 Campers learn basic moves and safety procedures in everything from tumbling to the uneven bars. 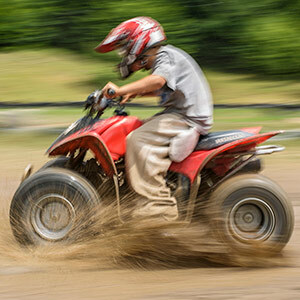 Instruction is provided on an individual basis and in small groups. 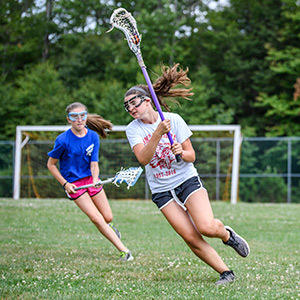 Instructors are college students with playing and coaching experience. Lohikan’s gymnastics program is directed by Liz Aceto, who returns this summer for her fifth year. 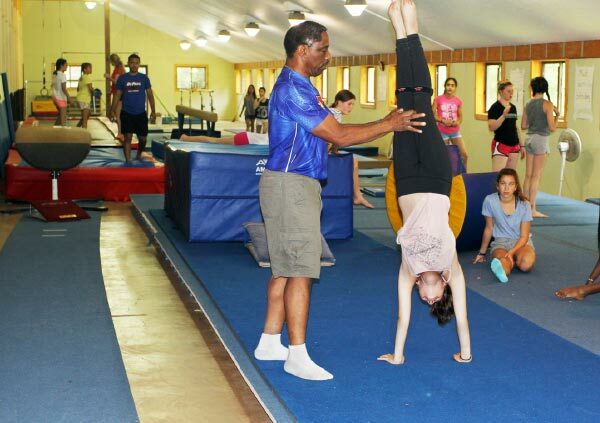 Liz is an experienced and talented coach who is the reason why gymnastics is so popular at Camp Lohikan! 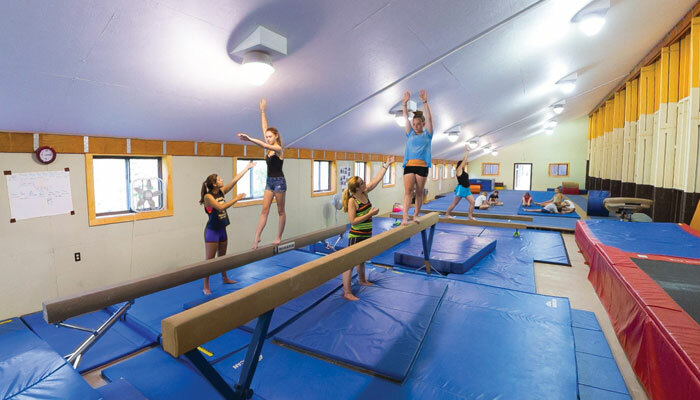 The Gymnastics Program is located in Lohikan's 5300 square foot Gymnastics Center. 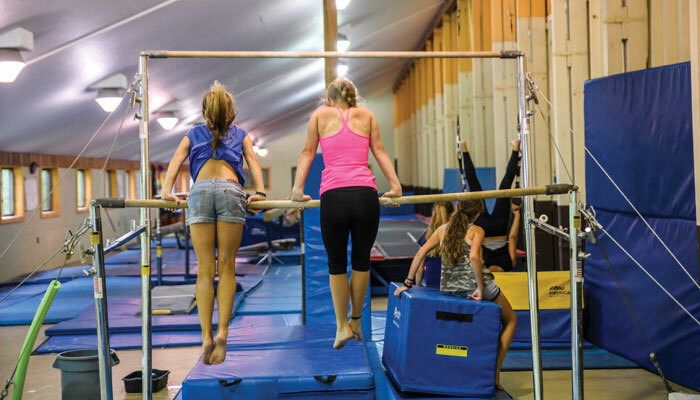 All gymnastics equipment is the best, most up to date and safest available and includes: a spring floor, professional-style uneven bars, parallel bars, balance beams, vaulting horse, rings, tumble track, springboard and mats galore! Safety is stressed in camp, especially in gymnastics. Spotters are always in position when campers practice. Thick crash pads, safety belts, and other appropriate safety accessories are also used to ensure that our gymnastics program is as SAFE as it is EXCITING! 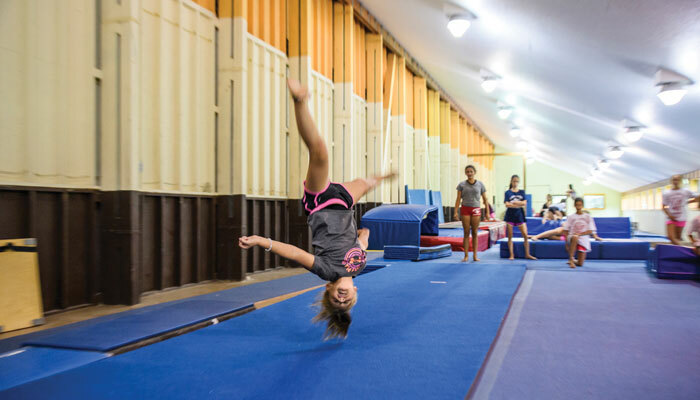 Interested gymnasts are invited to compete in Gymnastics Competitions held between neighboring summer camps. 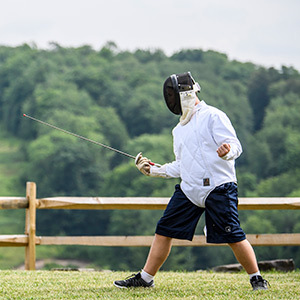 All levels are welcome to compete.